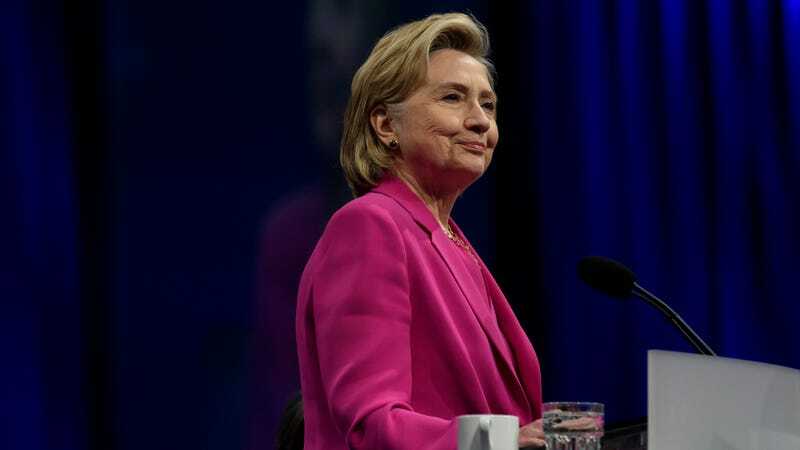 The Texas Board of Education has voted to cut Hillary Clinton from the K-12 curriculum, deeming the first woman to be nominated for U.S. president by a major political party unworthy of young Texans’ brain space. Helen Keller, Also on the chopping block: Helen Keller. Billy Graham gets to stay, though, lucky kids. According to the Dallas Morning News, on Friday the board made a preliminary vote to cut a handful of historical figures from the curriculum, arguing that students were stuffing too many of them in their impressionable little heads. The figures sentenced to educational death were voted on by a 15-member work group, which created a rubric to help deem which figures weren’t “essential” enough for students to study. It appears Clinton didn’t quite crack the rubric’s questions, which included items like, “Did the person trigger a watershed change,” “Was the person from an underrepresented group,” and “Will their impact stand the test of time.” In fairness, the change Clinton’s loss to Donald Trump triggered is maybe not something to brag about, but it is sort of chilling to strike someone from the history books who did manage to accomplish a slew of important firsts. Though Clinton and Keller didn’t make the (preliminary) cut, a number of highly questionable references and figures did, including “multiple references to ‘Judeo-Christian’ values,” and “a requirement that students explain how the ‘Arab rejection of the State of Israel has led to ongoing conflict’ in the Middle East,” according to the Dallas Morning News. The curriculum will also continue to include historical figures like Civil Rights leader Barbara Jordan, Texan soldier/politician Sam Houston, and, inexplicably, evangelist Billy Graham, who apparently sparked more watershed change than the first major woman presidential nominee. Texas has had some trouble with their curriculum in the past—as the Washington Post points out, controversy has abounded over the curriculum’s former description of the American slave trade as the “Atlantic triangular trade”; references to Jews considering Jesus an important prophet; and information “that in the era of segregation only ‘sometimes’ were schools for black children ‘lower in quality’”; all of which are factually incorrect and harmfully misleading. Children are the (very under-informed) future! Rutgers Reportedly Paid Snooki More for a Speech Than Hillary Clinton, Which Actually Makes Sense? !